Access to a storage unit has never been easier, our Low Steel Storage Unit includes a large double door fitted with a lift-up lid which is ideally designed for mobile equipment including bikes and scooters. 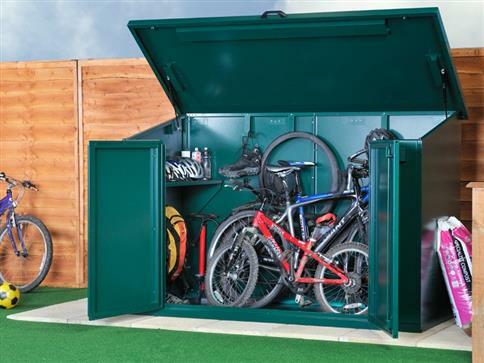 With a tough twin lock system and a full metal base, this allows the storage unit to be secure. The unit also has a ventilation system to prevent the build-up of condensation.